By John Stasio - The seeds for Easton Mountain were planted in my psyche as far back as my college years when I lived in a student community committed to social justice. Haley House was the one place on campus where it was safe and welcoming for Gay students to meet. It was in fact a sanctuary. As the plague of HIV continued to claim the lives of friends and loved ones, the desire for refuge grew as a need in my life. This need was echoed by the colleagues and friends whom I asked early in 1989 to plan and lead a men\'s retreat with me. We planned and sponsored a retreat for men who love men and titled the experience AWWOB — A Weekend With Our Brothers. It was the first of scores of gatherings that would be sponsored by a community of men that would later incorporate as Brothers Together ( BT ). BT would offer weeklong and weekend programs that hundreds of men would experience as a safe and supportive place in their lives, and for a decade we were in fact creating a temporary bit of sanctuary. After a long and difficult negotiation, and with the help of a business partner who would remain with the project for only a few months, I managed to acquire Easton Mountain. The 175 acres of mountain, fields, ponds, streams, orchards and buildings had been called the Phoenix resort, and had been sitting abandoned for the five years prior to our arrival. My vision was clear, at least to me, as I had been dreaming a quasi-utopian dream for nearly twenty years. With a group of committed men we would create a place apart from the world where we could grow and heal, play and pray, dream big dreams and wild schemes for making the world a better place. From this hilltop the light of our queer gifts could shine for all the world to see and we could spawn a revolution of love, or at least, as Peter Maurin would say; we could build a world in which it is easier for men to be good. Easton Mountain will be the home to a spiritual community dedicated to transforming and healing the human soul. We commit to living lightly on the earth, promoting social justice, and celebrating together. We vow to spread beauty and encourage creativity. We value openness and a radical hospitality, which seeks to embrace all others as sisters and brothers. We respect the wisdom of the body, the interdependence of all life, and non-violence in the resolution of conflicts. We promote peace and freedom for all. We seek an ever-deepening connectedness to self, others, and all of creation. This article was written by John Stasio for White Crane magazine in April 2009. For the original article click here. 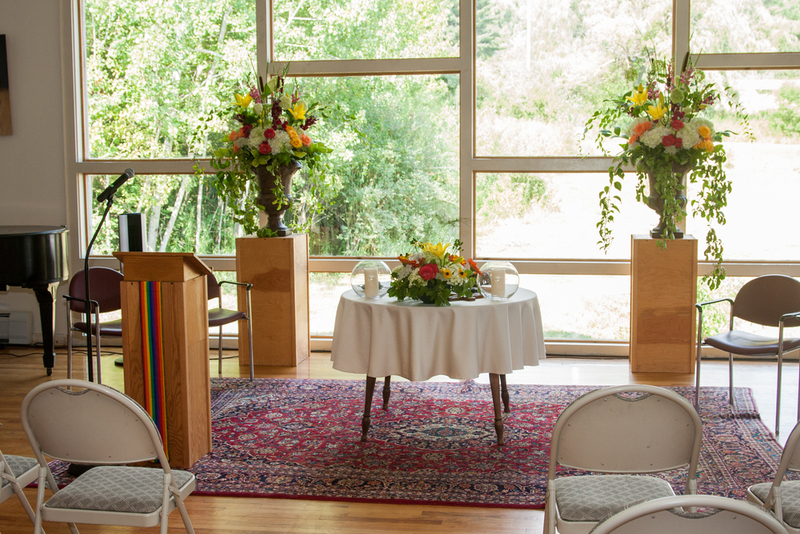 Easton Mountain is the home of an Interfaith Spiritual Community of queer people. 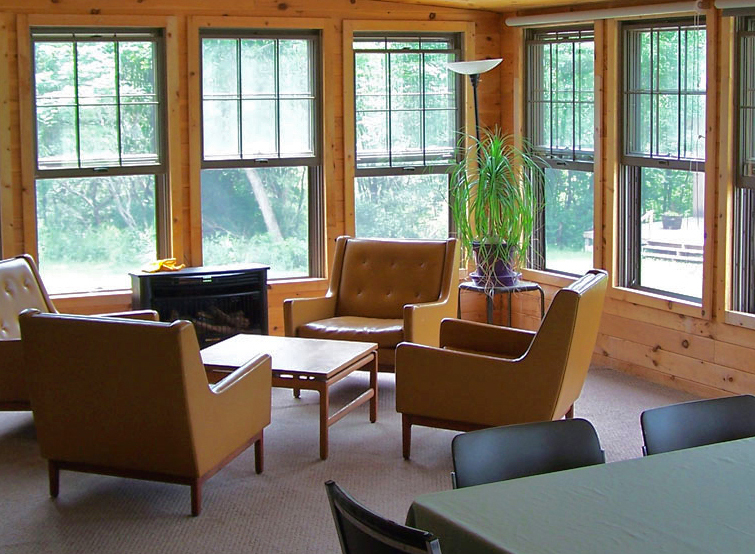 This community is comprised of full and part-time residents who work in some capacity as the staff of the Easton Mountain Retreat Center. Miguel Villalobos first came to Easton Mountain for Expressing Your Inner Self with John Ollom in 2010; and an attachment began that has only grown over time. Easton Mountain is committed to sharing our financial information with our donors and full extended community. To view our 2014 990, please CLICK HERE. To receive a more comprehensive "Budget Narrative" report, please email our board treasurer Andrew Kerivan at kerivan.andrew@gmail.com and we can email or mail you a copy.